When I was shopping to buy all the craft suppliers for my daughter’s birthday party, I came across a nice green picket fence planter box, already provided with a floral foam. 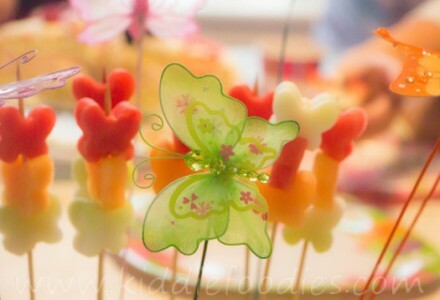 I thought that it would be just perfect for the fresh fruits butterfly garden! 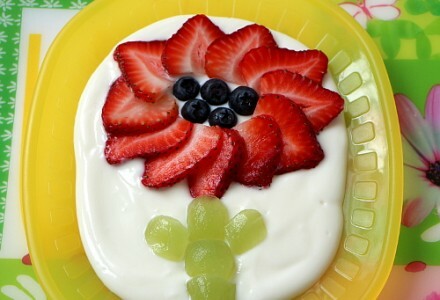 You can make this nice flower with just yogurt and fruits: strawberries, blueberries and grapes. This dessert is quickly done, healthy and cheerful. Kids will enjoy it for sure! 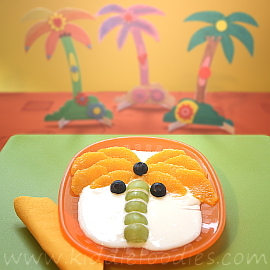 It is always good to imagine sun, sea and palm trees on the beach:) This time made of orange, grapes, blueberries and served on the thin layer of yogurt. Very refreshing! Wanna live a Venice adventure? 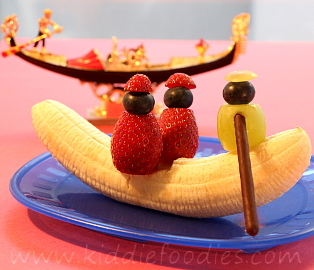 Make this nice banana gondola dessert with two strawberry fellows and a grape gondolier: that’s enough to tell your kids some beautiful stories about this unique city!